Burgundy is a very diverse wine region in the East of France with the highest number of Appellations D'origine Contrôlée (AOC) in the country. Ownership of vineyards in the region is often highly fragmented due to complicated inheritance and marriage rights which have been applied to certain parcels of land. Burgundy spans from Beaujolais in the south which is north of Lyon (dominated by the Gamay grape) to Chablis in the north (which mainly grows the Chardonnay grape). 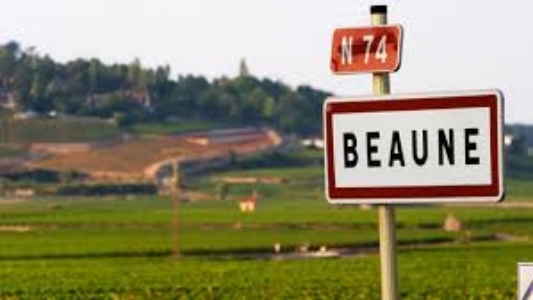 North of Beaujolais there is the Mâconnais region, a predominantly Chardonnay focused area, with its best known appellation being Pouilly-Fuissé. Moving further north there is the Côte Chalonnaise between the towns of Chagny and Saint Vallerin (known for its value Pinot Noir and Crémant sparkling wines made using the Champagne method) which also uniquely features the white grape Aligoté in the northern part of the region around Bouzeron. Then moving on to the renowned Pinot Noir growing area of the Côte d'Or which us located south of Chablis and is Burgundy's most expensive wine area, and where all Grand Cru vineyards of Burgundy (except for Chablis Grand Cru) are situated. Burgundy's top wines are among the most pricey in the world with 38 of the 50 most expensive wines in the world. The Côte d'Or is split into two parts: the Côte de Nuits which starts just south of Dijon to the south of the town of Nuits Saint Georges, and the Côte de Beaune. 80% of the Côte de Nuits wines use the Pinot Noir grape with 24 out of the 25 red Grand Cru appellations in Burgundy, whilst the Côte de Beaune is a predominantly white wine area, with seven out of eight Grand Cru vineyards producing Chardonnay based wines. Position on the slope is the key in choosing a place in the hierarchy of Burgundian wines, with upper middle of slope considered to produce the best wine. The best "Grand Cru" vineyards are usually grown from the middle and higher part of the slopes, where the vineyards have the most exposure to sun and best drainage, while the "Premier Cru" come from less well positioned slopes. The "Village" wines are normally off the slopes in the valley areas nearer the villages. Burgundy's best wines are the Premier and Grand Cru's of the Côte d'Or and Chablis. Gevrey Chambertin, Morey St Denis, Chambolle Musigny, Vougeot, Vosne Romanée, Nuits St Georges are the great communes in the Côte de Nuits. Regional/District: 22 regional and district appellations which represent over 41% of total production e.g. Bourgogne Blanc, Hautes Côtes de Nuits. District appellations never have Bourgogne in their names (e.g. Mâcon). Commune: There are 53 communal appellations which represent 36% of total production e.g. Meursault, Puligny Montrachet, Gevrey Chambertin and Volnay The communal or village name may be followed by the name of an individual vineyard, e.g. Meursault Clos de la Barre, Gevrey Chambertin Les Evocelles. Many villages have double barrelled names because they have hyphenated the name of their most famous vineyard. For example, Gevrey has added Chambertin and Chambolle has added Musigny. Premier Cru: The name of the village the name of the vineyard classified as Premier Cru e.g. Meursault Charmes 1er cru, Gevrey Chambertin Clos St Jacques 1er cru. There are 585 Premier Cru vineyards in the Côte d'Or and Côte Chalonnaise. They represent 18% of Burgundy's total production. Grand Cru: The name of the vineyard on its own: e.g. Chevalier-Montrachet, Corton Charlemagne (white); Richebourg, Le Musigny (red). Some of the Grand Cru names (Musigny, Chambertin, Montrachet) also appear as part of a village name which can cause a bit of confusion. There are 32 Grand Cru vineyards in the Côte d'Or. Burgundy has 559 hectares of Grand Cru vineyards and reds account for 57% of the Grand Cru production area. To identify a Burgundy wine the name of the owner and the name of the vineyard are needed since in many cases there is shared ownership between different owners. This is a peculiarity of the region because of French inheritance laws and the change in ownership of parcels of land because of marriage or divorce. Only in a small minority of examples is a vineyard in Burgundy completely owned by one family. Unlike Bordeaux where individual Château have been classified by the 1855 classification system, Burgundy producers are not classified in the same way meaning that different producers can sell wine with very different styles and quality. For this reason many Burgundy aficionados choose the producer and vintage first then the area or appellation. As well as strong demand for many Burgundy wine and high price of land this fragmented ownership increases wine production costs and hence adds to the high final selling price. Grand Cru vineyards in Burgundy sell between $2.5 million and $13 million a hectare, this compares with around $1.66 million per hectare in the mid 1990's. The cost of a hectare of Chardonnay producing vineyard in the Côte d’Or is around $1.7 million per hectare and Premier Cru vineyards planted to Pinot Noir, land costs an average of $720,000 per hectrare. In France as a whole in 2014 an average price for an AOP vineyard was $144,000 (€136,400) a hectare. According to SAFER, (Société d'aménagement foncier et d'établissement rural) there were 9,400 sales of vineyards in 2014, up by 9.7% from 2013. Red wines from Burgundy are dominated by the Pinot Noir grape with its light colour, medium body, low levels of tannin, high acidity giving freshness and a deep, earthy nose with a characteristic cherry, raspberry aroma. As the wine develops autumnal aromas increase with a smell reminiscent of woodland undergrowth which can develop further to game notes. A top Burgundy Pinot will have a lovely nose and serving the wine at around 14-17°C will maximise the aroma, too warm and the quality of the experience will be compromised. Many wine drinkers serve Pinot Noir based wine far too warm which stifles the aromas and true flavours of the best wines. Côte de Nuit red wines are generally more tannic than Côte de Beaune's, giving them more body and making them "heavier" or more "masculine" in character . The wines from Nuits-St-Georges are the most tannic meaning that a degree of maturing is needed to soften them and give them the necessary texture. Chambolle-Musigny wines are very light but are highly fragranced. Vosne Romanée wines attract huge prices because of their ability to give a velvety palate which means that they have a soft, textured finish and a powerful nose. The best examples of Burgundy reds avoid the trademarks of poorly produced Pinot Noir. Bad Burgundy lacks body and fruit notes with an over expression of harsh tannin and is likely caused by the wine producer attempting to increase yields which causes under ripening of the grape (so called green grapes). The best Burgundy red's have a low vineyard yield of 35-40 hl/ha. White Burgundy uses the Chardonnay grape with the most famous example being Chablis in the northern part of the region with its cooler climate vineyards producing their trademark refreshing, mineral, stony flavours. In contrast the most southern region, Mâconnais, has a warmer climate than Chablis and is able to produce more rich, fruity whites with higher levels of alcohol with a great example being the Pouilly-Fuissé appellatio. This shouldn't be confused with Pouilly-Fumé, which is an Appellation d'origine contrôlée for the dry white wine produced around Pouilly-sur-Loire in the Loire area. Chablis - Chardonnay based whites with a fresh style and mineral rather than fruity notes. With relatively harsh winters, spring frosts and hot summers somewhat moderated by the river Serein, and with the dominant soil being Kemmeridgian limestone like the Champagne region this unique terroir is responsible for the distinctive Chablis crispness. Nuits-St-Georges - The Southern part of the village has powerful Pinot's with firm tannin structures and are described as more masculine, the Northern part are softer. Savigny-les-Beaune - Pinot Noir with a light touch with less fragrance than say a Gevrey. Beaune - Balanced Pinot Noir's that are described as easy drinking then many examples from the Côte de Nuits. Whites are filled with floral aromas as well as apple and pear. 2016 - This year's vintage was hit my mildew, hail and the worst frost in a generation but unevenly across the region. Chablis in particular was hit hard by frost which decimated yields but many growers across Burgundy were left with little grapes to harvest. Frost damage in the Côte d’Or was severe too hitting higher-elevation sites whilst in some cases leaving lower vineyards unharmed. The outbreak of mildew that followed also struck vineyards to varying degrees. July, August and September were sunny and dry and this good weather managed to salvage the vintage. 2015 - The weeks immediately before harvest were relatively cool which helped to preserve acidity with a below-average yield of excellent quality. Many growers said that they had never witnessed such good grapes. This was despite a three-week heat wave that meant the region experienced the highest temperatures for over 12 years (July reached 36-38 degrees Celsius) – and the driest July weather since 1949 that stressed vines and thickened skins. A normal August with rain towards the end of the month expanded the grapes, but never broke them, because the skins were so thick.Some producers had yields around 1/3 lower than usual. Wine producers said that despite comparisons to 2003 in terms of weather acidity levels were higher which meant a strong vintage, though with low yields. 2014 - A very mild spring, mid-August to harvest was perfect but hail in late June destroyed at least a third of the grapes in Meursault and Pommard with some vineyards losing almost all their crop. However, harvesting in September took place in almost perfect conditions though final yields were down on the best years in many appellations though with ripe grapes a real bonus. In conclusion better than the recent poor years but far from the best. 2013 - A cold spring delayed flowering and led to uneven ripening. Hail (particularly in the Côte de Beaune) and summer downpours impacted growers, but good weather in September allowed a small crop of balanced fruit with good potential. Quality is very uneven so careful selection is critical with the vintage often showing examples which may be delicate, some would describe as elegant but others as green, lacking nose, under ripe and insubstantial. Certainly not the best year in Burgundy by a long way. 2012 - A wet summer across Europe produced difficult conditions for wine producers in France, with mildew and rot issues with conditions across Burgundy very mixed and unpredictable. Hail, a cool start to the year, very got days in summer and plenty of thunderstorm meant very low volumes of variable quality but on the whole results were good if not spectacular. 2011 - Fairly poor quality with plenty of rot as the weather disappointed with storms, hail and changeable temperatures. Pinot Noir quality can be good but careful selection is needed and quantities were small. Whites can be extra fresh and mineral. 2010 - A cold and wet year but despite low yields ripening of grapes was good with some solid days of sunshine. Some very good quality - especially in the Côte de Nuits - but volumes up to a third lower than average. Delicate, perfumed reds with silky tannins and taut, expressive whites. 2009 - A great growing season in Burgundy with no hail damage, dry weather and consistent warmth. Low acidity and ripe tannins producing lovely Pinot Noir, similar to 1990 and 2005. Very consistent across Burgundy with lower quality vineyards still producing very good Pinot Noir, so a good year to find wines from less popular growers. 2008 - A poor year for Burgundy with a wet cold summer as well as hail producing low yields and low quality on the whole but a good burst of sunshine in late September sunshine saved the vintage. High acidity remains the hallmark of this vintage with a good degree of freshness in the whites and reds. Purity rather than structure is key to 2008 so careful selection is needed. 2007 - A rainy summer led to rot and an early harvest but with the Côte de Nuits fairing best. Medium to good quality on the whites with fairly light reds. 2006 - Poor summer with vine health problems produced wines which at their best are very pure and expressive and at their worst just a bit too austere for comfort. But on the whole a well balanced vintage with medium body and fruit, ripe tannins. Good to very good quality is possible. 2005 - A very good vintage with a sunny summer producing a near normal crop of good quality grapes. The best vintage since 1978 with low yields and intense, elegant reds and whites. 2004 - Large vintage of far from flashy but pretty serviceable and certainly good value wines. Relatively light and crisp, for early drinking though the best may surprise in the long run. 2003 - A small proportion of monumental wines from old vines were produced this heatwave year, but generally the frail Pinot Noir grape suffered raisining and made some very unusual wines indeed, some of which provide good, luscious drinking at about five years old but dry tannins are expected to make their presence increasingly felt. 2002 - Good vintage. Summer was not especially hot, though it was reasonably dry. Sugar levels were boosted in September but some grapes were adversely affected by scattered rains then. Sugar levels were quite respectable in the end and most wines showed their charms at an early stage. 2001 - Wet summer with some heat spikes. As for red Bordeaux from this vintage, a gentle hand was needed in the winery to retain delicacy and not emphasize the already notable tannins. Quite varied quality. Wines from low-yielding grapes will provide exciting long-term drinking but others are gawky. August hail in Volnay. 2000 - A difficult vintage for growers, with rain and rot during harvest. Rather soft, easy wines that were more successful in the Côte de Nuits than in much of the Côte de Beaune. Useful early drinking but showing signs of losing fruit by 2008.